Aloha Kakahiaka! 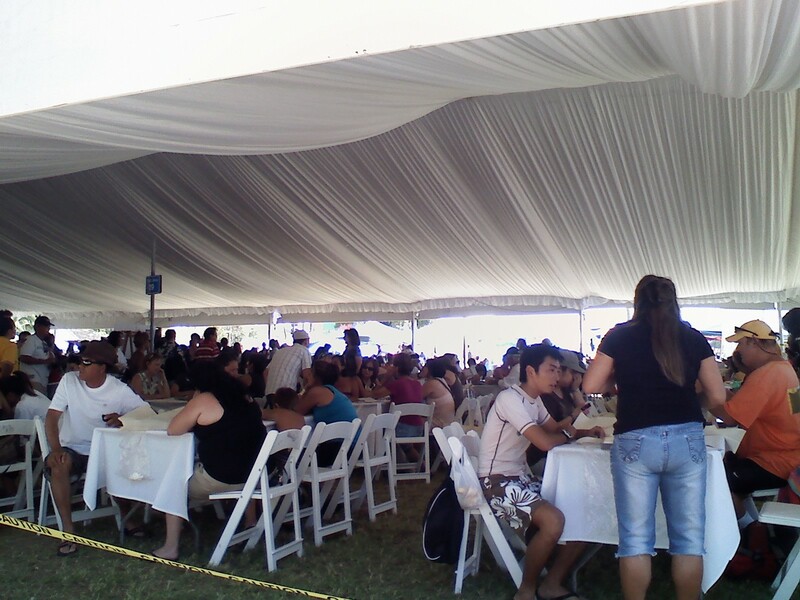 (Hawaiian)Hafa Adai!(Charmorros-Guam)Dzao-An! (Manderin) Bom Dia! (Brazilian) Chao! (Vietnamese) Good Morning! 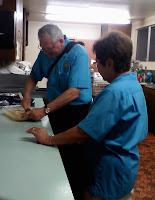 Over li ling pineapple and kula fresh strawberries, to fragrances of steaming lotus tea and folger's coffee...our little community welcomed a few wayfarers for a wonderful breakfast exchanges. Tomorrow-I'll be saying "Talofa" as I head off for Samoa for a few weeks. Celebrating seems to never stop on the tropical islands! Today Fr. Marvin, OFM Cap. celebrated his first anniversary of ordination with family and friends. Fr. Matt who is vacationing from Boston was also able to attend with his parents and sister. Our prayers are also for Fr. Matt's parents who celebrate their 40th Anniversary. Congratulations and God bless you! Two hundred years ago, King Kamehameha the Great brought the Hawaiian Islands together under a unified government. His courage and leadership earned him a legacy as the "Napoleon of the Pacific," and today his humanity is preserved in Ke Kanawai Mamalahoe, or "the Law of the Splintered Paddle." This law protects civilians in times of war and remains enshrined in Hawaii's constitution as "a unique and living symbol of the State's concern for public safety." On this bicentennial King Kamehameha Day, we celebrate the history and heritage of the Aloha State, which has immeasurably enriched our national life and culture. The Hawaiian narrative is one of both profound triumph and, sadly, deep injustice. It is the story of Native Hawaiians oppressed by crippling disease, aborted treaties, and the eventual conquest of their sovereign kingdom. These grim milestones remind us of an unjust time in our history, as well as the many pitfalls in our Nation's long and difficult journey to perfect itself. Yet, through the peaks and valleys of our American story, Hawaii's steadfast sense of community and mutual support shows the progress that results when we are united in a spirit of limitless possibility. 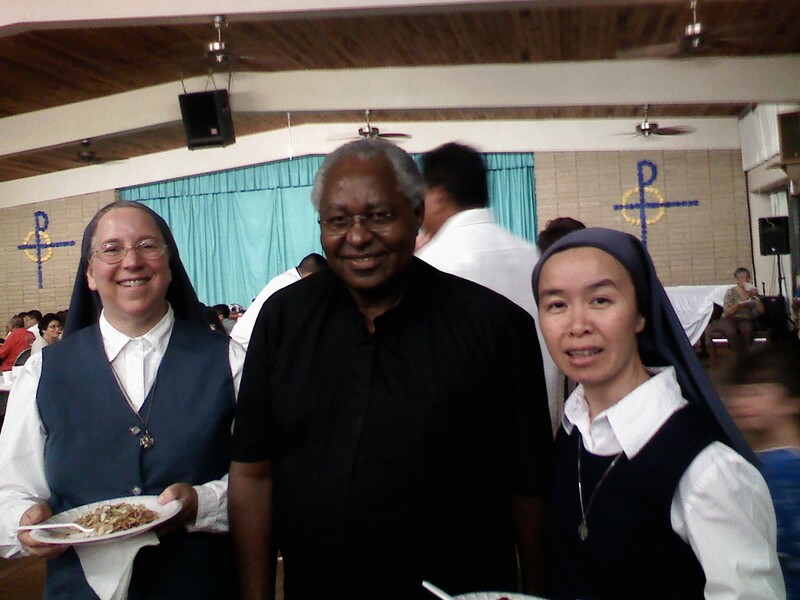 Welcome Sr Paulamarie and Sr Jean Ann! With a big Aloha! 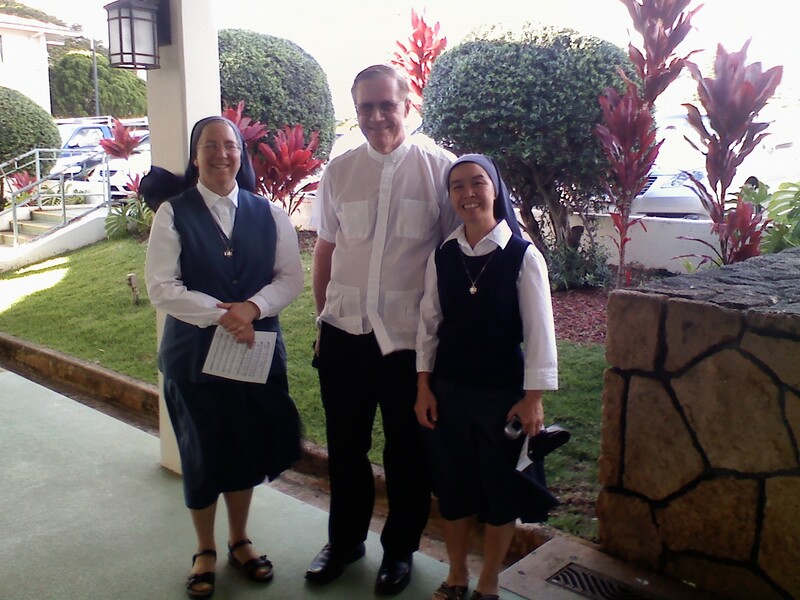 Just in time for King Kamehameha Day and the Solemnity of the Sacred Heart of Jesus and the Immaculate Heart of Mary! 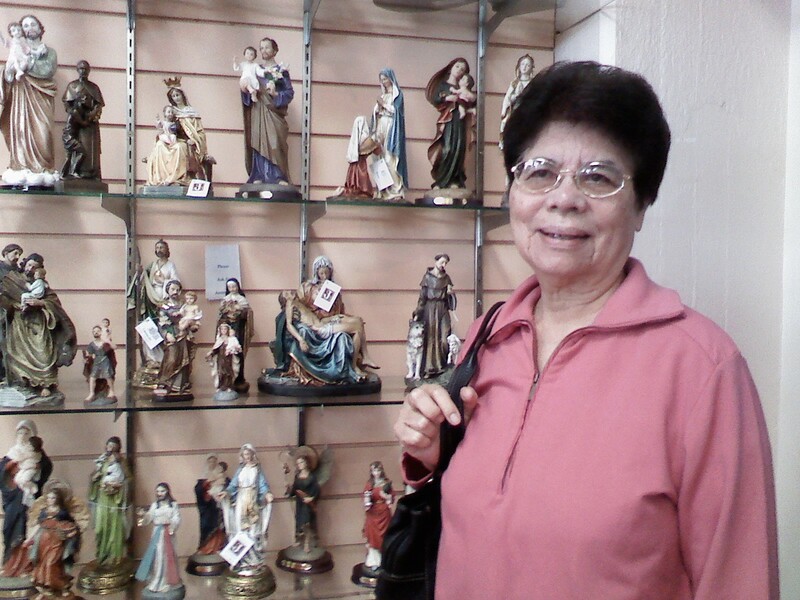 We also welcome Sr. Jean Ann, a Notre Dame sister from Guam, as she makes her retreat. May the Holy Spirit be with her. 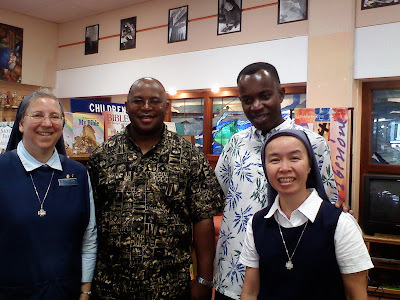 Visiting Priests from Kauai and Zambia! The Honolulu Pauline Books & Media Center is a favorite place for priests and religious to visit. Today we had the joy of welcoming Fr. Peter and Fr. Smart who stopped in to shop. Fr. Peter is serving on the neighbor island of Kauai at St Catherine's Parish. Fr. Smart recently graduated from Catholic University and is on his way home to his diocese in Zambia. May St Paul bless both of you! 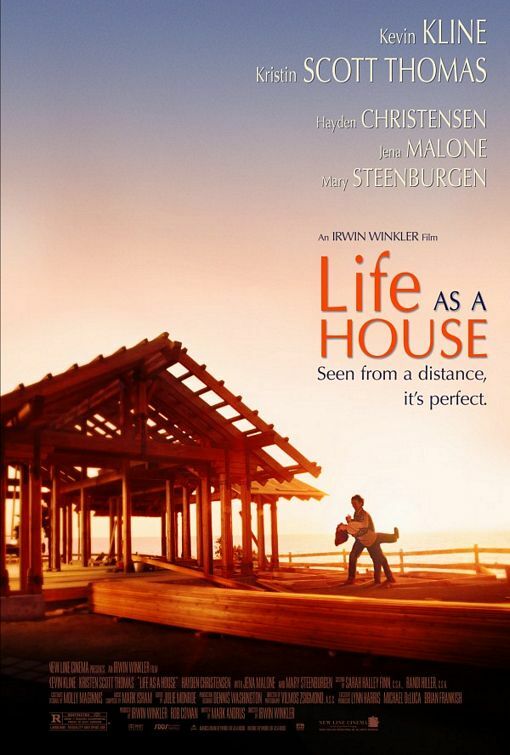 Movie Night: "Life as a House"
What: Featured Movie "Life as a House"
Come meet Jesus at the movie! Summary: In one day, architect George’s life is changed. He loses his job, is diagnosed with a terminal illness-cancer-and told he has only four months to live. He decides to spend his last summer trying to rebuild his relationship with his ex-wife and troubled teenage son and to turn his rundown home into a dream house. Discussion: How does a Life as a House show that each person is loved, even when they do terrible things, and that forgiveness and change is possible? Aloha! 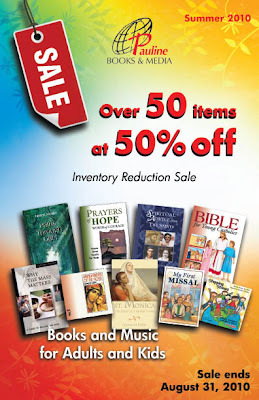 For Corpus Christi Sunday, we had the joy of conducting a Parish Book Fair at Our Lady of Mt. Carmel Parish, situated on the North Shore at the foot of the luxurious mountain range,Kualoa Pt. and within view of the aqua marine Hawaiian waters. Fr. Paulo Kosaka, OFM Cap., was very gracious to invite us! 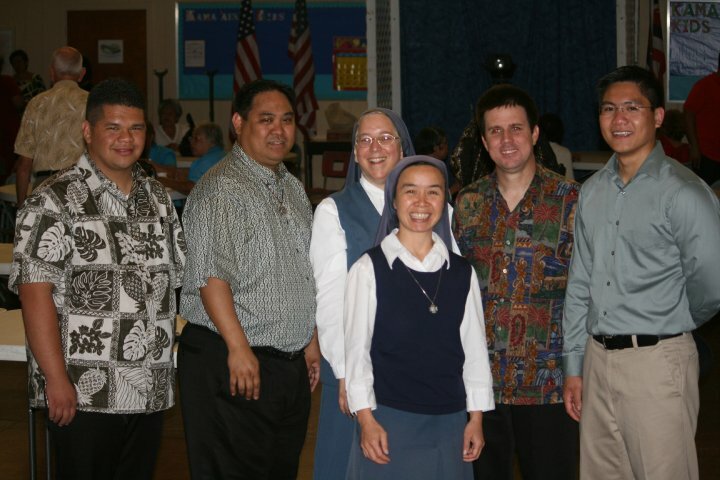 Mahalo Fr. Paulo! 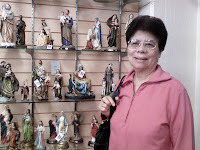 The Parish has a very strong community spirit, so after both Masses everyone came over to the pavilion for fellowship, food and the Pauline Book Fair, and also to see Theresa Wong's selective religious statues. Sr Gioan Linh, as soon as she saw the fish soup, she said,"This soup reminds me of my mom's cooking." Later on she met and chatted with(Rose) Hong Matsuzaki who is from Viet-Nam. The new book "St Joseph: Help for Life's Emergencies" was a best seller! Other Daughters of St Paul hot items were music such as Catholic Favorites vol. 1, Celebrating 20 Years, and Mary Did you Know. And for the many children, colring books were the favorite pick for summer fun. 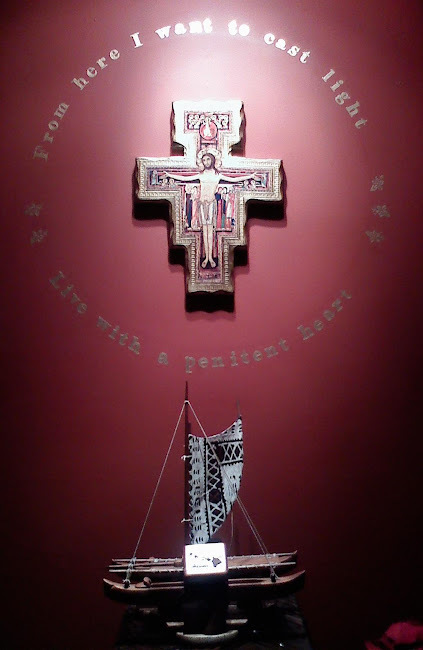 May God bless in a special way all the parishioners at Our Lady of Mt. Carmel! Mahalo! Check out the most exciting event to hit downtown Honolulu on the first Friday of every month! Chinatown is transforms into a place for those who wants to be the hip crowds at the many unique galleries, boutiques, cafes and restaurants that feature exciting art exhibits and free entertainment. Samadhi Hawaii was founded on Maui in 2004 by ‘Ulalena original cast/ aerialist Andrea Torres, with Ana Prada, Marcus Quiniones and Yayoi Hara. 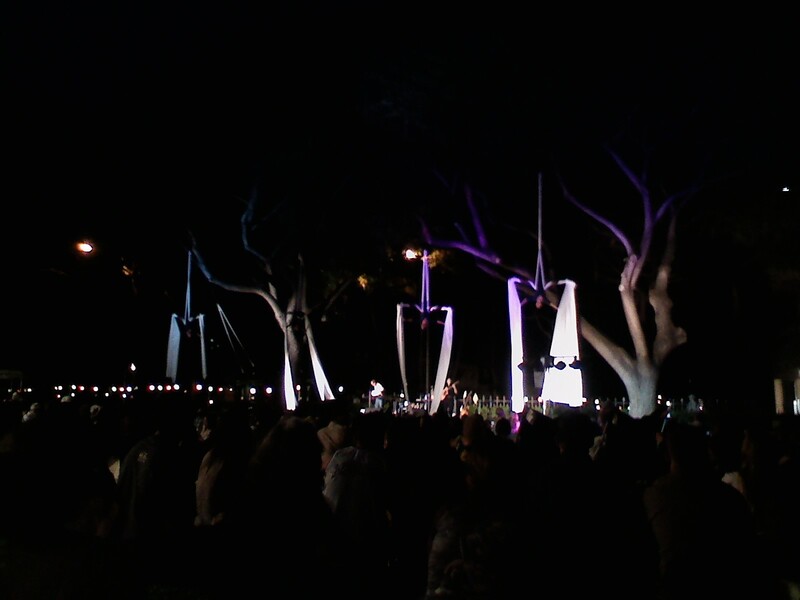 An Aerial Dance Performance Troupe made in Hawaii!! Aerial dance takes the grace and precision of ballet, the flexibility of yoga and the whole-body strength, balance and technique of an acrobat. One of the performer is from Paris, France. Anasma did a Puja Dance. It was incredible! Rocky Brown has performed at Carnegie Hall, been featured with the Honolulu Symphony, and performed with Philippine’s well renowned singer/songwriter Jose Marie Chan at Foxwoods Casino in Connecticut. With this experience, we want to keep learning about life itself and the art of living. We are being inculturated. This evening the Diocese of Honolulu celebrated the close of the Year of the Priest with a special Holy Hour and Mass. 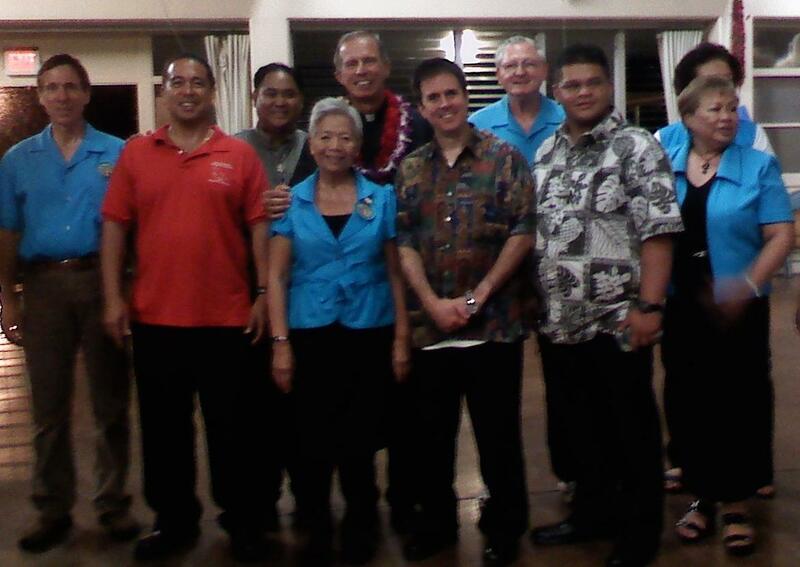 Bishop Larry silva was joined by many priests of the island of Oahu, seminarians, religious, and faithful. 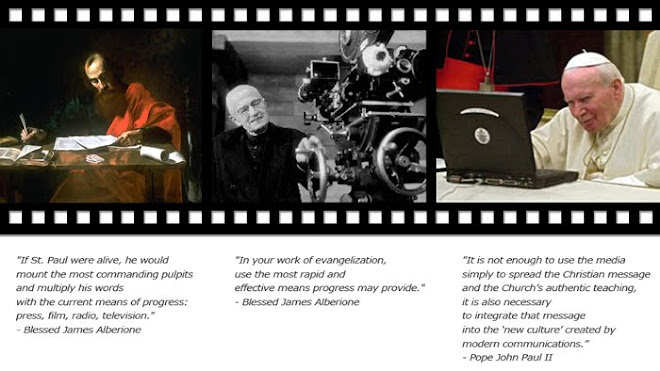 He encouraged his priests to continue to live in service of God and the people with loving generosity. 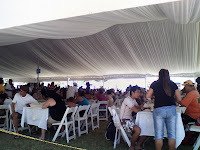 Mahalo to the Serra Club members who organize the event. Join us for the final On-Fire youth night of the season! Date & Time: Saturday, June 5, 2010 from 6:00 p.m. to 9:00 p.m. This month's theme is: "Our bodies and the Body of Christ." 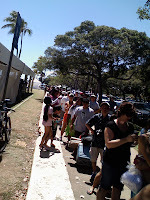 Memorial Day celebrations are unique in Honolulu. 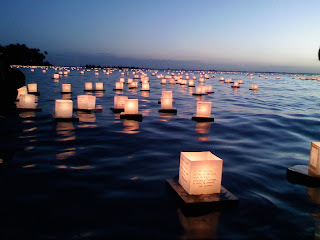 Besides the remembrances at Punchbowl Military Cemetery with the leis draped on each grave, the military jet fly over salute, the day ends with an ancient Japanese lantern floating ceremony. 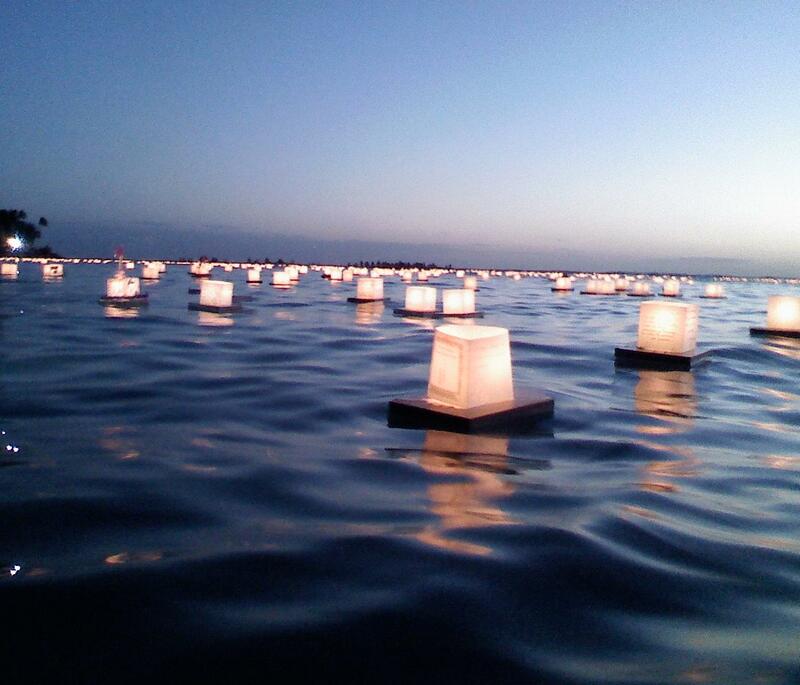 The lanterns are set afloat with prayers representing our affection for the deceased. There are about 40,000 thousands people gather at Ala Moana Beach Park for yesterday's evening Lantern Floating Ceremony. 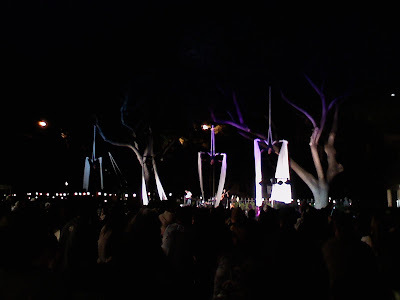 The ceremony remembers those who gave their lives in conflict, allows for reflection on the memories of loved ones and dedicates prayers for a peaceful and harmonious future. Just as the waters of the Pacific merge with each ocean, the wish for peace and happiness extends from Hawaii across the globe. 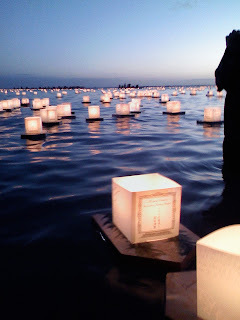 That's why the theme for this year's ceremony is "Many Rivers, One Ocean." A limited number of lanterns (2200) are available to the public. Sr Gioan Linh managed to pick up a lantern to share with Sr Susan John.